Visit us at NYSCC Suppliers´ Day from the 15th to the 16th of May 2018 in New York City. We are looking forward to welcoming you at booth 756 at one of the largest North American trade fair for the cosmetics and beauty industry. 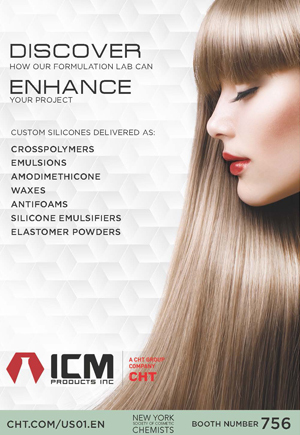 We would be pleased to present to you our wide range of products with and without our silicones to provide first-hand experience of the positive impact our products can make in formulations. Come to our booth and we will convince you with our extensive know-how and our interesting range of high-performance products.